What better way to start into the weekend than with a relaxed breakfast with a friend. 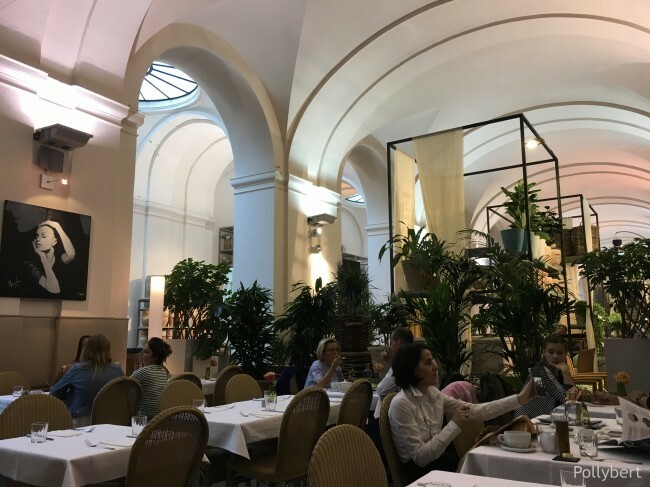 To this purpose we met at Hansen, a lovely restaurant within the former stock exchange of Vienna. Sitting under the vaulted roof, surrounded by the scent of thousands of flowers from the shop Lederleitner within the dining hall, one feels almost overwhelmed at first. There is so much space, at least when looking up. But there is also enough privacy to have an unhindered conversation and enjoy the meal unobserved. While I settled on a breaded egg with a ham roll, filled with vegetable salad, my friend ordered a boiled egg, bread, cheese and butter. Quite the frugal meal come to think of it. Together we split a portion of rosemary fried bacon. My egg was fantastic and the ham roll exactly as I remembered. This is after all dish from the ’80s. The boiled egg needed to be sent back, the egg white was still runny even though she ordered a 5 minute egg. The rest was excellent though and the service impeccable. The rosemary bacon is a match made in heaven. 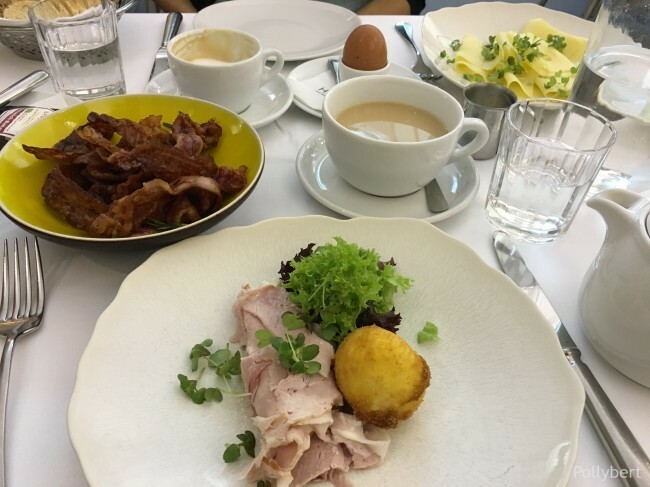 The menu offers such interesting dishes as a breakfast burger, Weißwürstel and porridge. While sipping my second cup of tea I ordered a chocolate-nut cake to share, but I ended up eating it all by myself. It was so yummy that I don’t have any picture of it. 1. 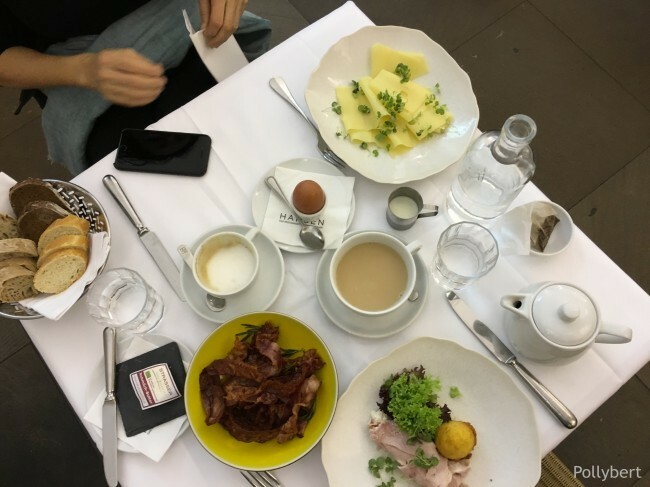 Bezirk, Austria, breakfast, dining in Austria, eating out with friends, Europe, restaurant review, Vienna, Wien. Bookmark.